Officials from the Massachusetts Port Authority issued an apology Wednesday after conducting a fire training exercise at Boston Logan International Airport on the 12th anniversary of the September 11 attacks. "The fire department will be training this morning. Smoke on the airfield is part of the training," the airport's Twitter account announced. In response to negative reactions on social media sites, the port authority, which operates the airport, said in a statement, "Massport apologizes for conducting the fire training exercise and understands that it may have offended many of those touched by the events of Sept. 11." "It's just dumb," Gov. Deval Patrick said. "The timing could not be worse." Muslim cleric Abu Qatada has been described as "more radical than Osama bin Laden." 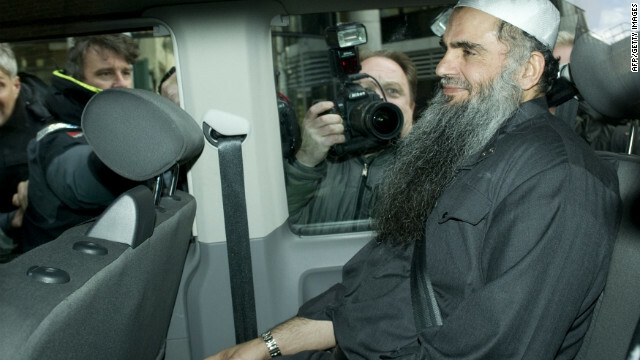 Radical cleric Abu Qatada was released from jail on bail today, following a successful appeal Monday against deportation from the United Kingdom to face terror charges in Jordan. It's the latest stage in a long-running battle over British efforts to deport the man accused of funding terrorist groups and said to have inspired one of the 9/11 hijackers. 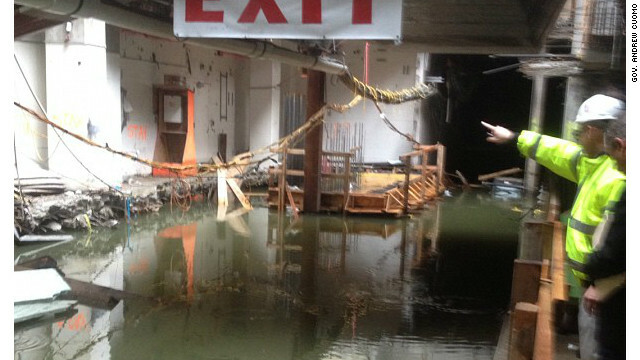 Water from Superstorm Sandy floods the World Trade Center site on October 30. Construction work has started again at ground zero, site of the World Trade Center attacks on 9/11, which was flooded by Superstorm Sandy. About 750 workers are back at it, now that more than 95% of the storm surge at the 16-acre site has been pumped out, New York Gov. Andrew Cuomo announced. The new book "No Easy Day" by former U.S. Navy SEAL Matt Bissonnette, who wrote under the name Mark Owen, gained widespread attention because of his firsthand account of how he and other members of SEAL Team Six killed Osama bin Laden. On Sunday night, Bissonnette shared more of the intimate details of the mission in an interview with CBS's "60 Minutes." Bissonnette wore heavy makeup and his voice was disguised as he described what he said was not just a "kill-only" mission, but a chance to capture the mastermind of the September 11 attacks alive, if possible. "We weren't sent in to murder him. This was, 'Hey, kill or capture,'" he told interviewer Scott Pelley. Bissonnette said that in the weeks leading up to the mission, the SEALs trained on a full-size model of the compound in Abbottabad, Pakistan, where they would eventually kill bin Laden. It was rare, Bissonnette said, to get 100 chances to train on a mock-up like that for three weeks. Bissonnette said that while it was the most important mission he would ever be a part of, much of what the team members did was routine, until the moment they could finally exhale, knowing they had killed their biggest target. Below are some of the most interesting exchanges between Bissonnette and Pelley, according to CBS transcripts, about the preparation for the mission, the raid itself and his reaction to it all when it was finally over. Matt Bissonnette: Guys start making their way up the stairs. And it's quiet. It's pitch black in the house. No lights. All night vision. Get to the second floor. Intel had said, "Hey, we think that Khalid, his son, lives on the second floor." Scott Pelley: This is Osama bin Laden's son? Bissonnette: Yeah. The guy in front of me who is point man, he sees the head pop out and disappear really quick around the corner. He's like, "OK, you know, what - who is it? What do you think?" "Yeah, I don't know." He literally whispers, not amped up, not yelling, not anything. He whispers, "Hey, Khalid. Khalid." He whispers Khalid's name. Doesn't know if it's Khalid or not. Khalid literally looks back around the edge of the hall. And he shoots him. What was Khalid thinking at that time? Look around the corner. Curiosity killed the cat. I guess Khalid too. Pelley: Somebody started shooting at you from inside the house? And the bullets were coming through the door? Bissonnette: Yep. Immediately, my buddy who was standing up started returning fire. I could - yeah, I kind of rolled away from the door, blindly returned fire back through. You couldn't see what was on the other side. And then it went quiet. Thankfully, the SEAL that was there with me, that initially returned fire with me spoke Arabic. So he immediately started calling out to the people inside. Started hearing the metal latch on the inside of the door. Are they gonna come out with a suicide vest? Are they gonna throw a hand grenade out? Are they gonna, you know, spray their AK? Door opens up, a female holding a kid, couple kids right behind her. Pelley: You got your finger on your trigger and you're looking at a woman with her children? Bissonnette: Yeah, yeah. Split second. I mean, we had just received fire. My buddy's speaking Arabic. And he's asking her, you know, "Hey, where's your husband? What's going on?" She - and - and she replies back to him, "He's dead. You shot him." Pelley: Khalid is dead on this landing. The point man is stepping past Khalid. And now, you're No. 2 in the stack. You're right behind the point man? Bissonnette: Yep. I'm kinda trying to look around him. Hear him take a couple shots. Kind of see a head - somebody disappear back into the room. With the under-construction One World Trade Center fast approaching its final height, President Barack Obama will visit the New York tower Thursday to get an update on its growth and help prepare one of the finishing touches. Obama is expected to sign a beam that soon will be placed at the top of the tower, said Mike Pinelli, general superintendent of the Tishman construction firm. "We're going to have our topping-out beam placed on the street" so Obama can sign it, Pinelli said. "It's typically signed by everybody on the project at some point, and then we're going to erect it shortly thereafter to signify the topping out of (the tower)." Obama, accompanied by first lady Michelle Obama, is due to arrive at New York's John F. Kennedy International Airport in the late afternoon and at the construction site about 5:15 p.m. ET to get a briefing on the building, currently 104 stories and 1,300 feet tall - already the tallest structure in New York. 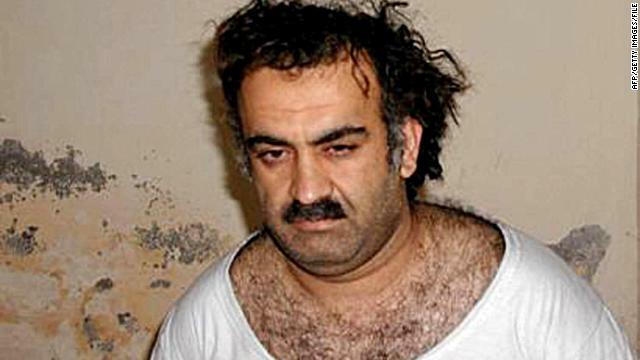 Khalid Sheikh Mohammed, shown in a photo obtained in 2003, is charged with terrorism and murder, among other things. "If convicted, the five accused could be sentenced to death," the Defense Department said in a statement. Along with Mohammed, the others are Walid Muhammad Salih Mubarak Bin 'Attash, Ramzi Binalshibh, Ali Abdul Aziz Ali, and Mustafa Ahmed Adam al Hawsawi. The charges allege that the five are "responsible for the planning and execution of the attacks of Sept. 11, 2001, in New York; Washington, D.C.; and Shanksville, Pa., resulting in the killing of 2,976 people," the statement said. The five accused are charged with "terrorism, hijacking aircraft, conspiracy, murder in violation of the law of war, attacking civilians, attacking civilian objects, intentionally causing serious bodily injury, and destruction of property in violation of the law of war. The convening authority has referred all charges to a joint trial." Unidentified human remains of people who died in the September 11, 2001 attacks on the Pentagon and in Shanksville, Pennsylvania eventually wound up in a landfill, the Defense Department said in a report Tuesday. Parts of the cremated remains were handed over to a biomedical waste contractor and inadvertently dumped, the report said. The September 11, 2001 attacks killed nearly 3,000 people in attacks on the World Trade Center in New York, the Pentagon in Washington and in the hijacking and crash of a commercial jet in Shanksville, Pennsylvania. The Pentagon report explored the handling of human remains at a U.S. military mortuary at Dover Air Force Base in Delaware. 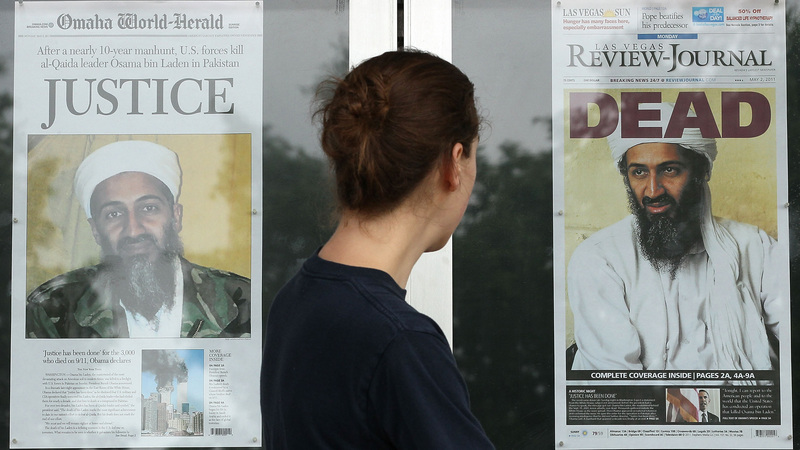 Newspaper headlines announce the death of Osama Bin Laden on May 2, 2011. Lower Manhattan's controversial Park51 Islamic center is now in a court battle with utility Consolidated Edison, which says the center owes it $1.7 million in a dispute over back rent. In court papers, Park51 says it owes Con Edison only $881,000 and calls the utility's demand "grossly inflated." The center has filed suit against the company over a default notice it was issued in September, and a New York state judge has stayed any action until after a hearing in November. In a statement to CNN on Sunday, Con Edison said it "remains hopeful" that it can work out an agreement with Park51, which leases part of its property from the utility. Park51's developers did not return a phone call seeking comment. 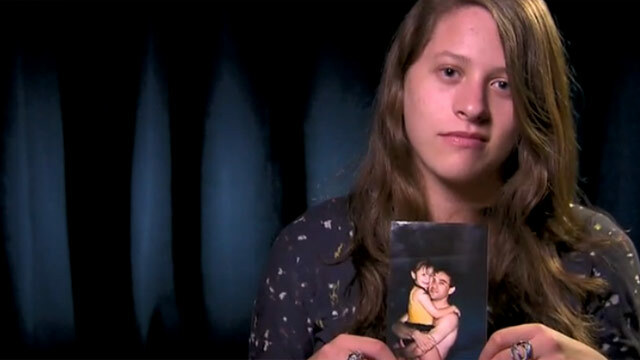 CNN spoke to children who lost a loved one on 9/11 about their feelings and where they are now. 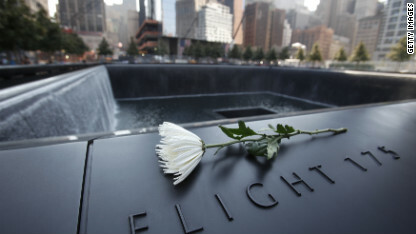 It was an especially reflective weekend as the United States and much of the world looked back on the lives lost in the September 11, 2001, terrorist attacks. CNN had a chance to talk to several young people who lost a parent that day. In today's Gotta Watch, we present highlights from those interviews, and look back at how children caught in the middle of another national disaster - Hurricane Katrina - looked at their city two years later. 'Nobody else has lost a parent on national television' - Some of the children who lost a parent on 9/11 say they have little or no memory of that day. Watch here as they talk about life growing without a mother or father, the "nightmare" talk that daddy wasn't coming home and the scrutiny they face as "9/11 kids." 'The lost city' - In February 2007, CNN's Soledad O'Brien handed out video cameras to a group of students who lived through Hurricane Katrina in New Orleans. Here, they spoke with director Spike Lee about feelings of being forgotten and what the world didn't see two years after the storm. 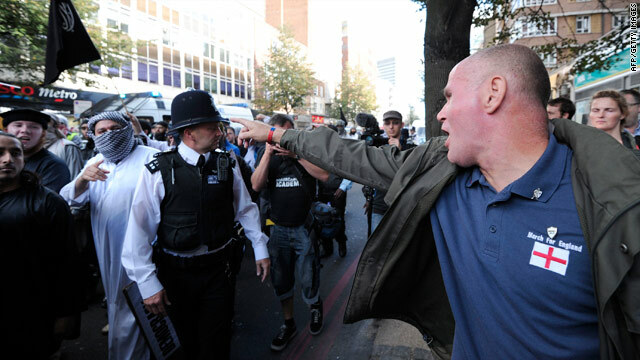 A member of the English Defence League shouts at Muslim extremist protesters near London's Grosvenor Square. The memorial for British victims of 9/11 stands in London's Grosvenor Square at the far end of a quiet park directly across from the U.S. Embassy. There you can find the names of the 67 British victims who lost their lives in the attacks. A set of wooden pillars stands with these words carved above them: "Grief is the price we pay for love." On Sunday, families of those victims gathered at Grosvenor Square. Prince Charles attended with his wife, Camilla, the Duchess of Cornwall. Prime Minister David Cameron also came. They laid wreaths at the memorial and later took the time to speak with the families over scones and finger sandwiches. At the memorial, a white rose was laid for each of the 67 British victims. The ceremony was marred somewhat by two competing protests. Muslims Against Crusades, the radical Islamic group led by Anjem Choudary, arrived shortly before the ceremony full of fiery speeches. There were fewer than 100 with him but their chants of "USA you will pay!" could still be heard over the music that played as families began arriving. New York firefighters observe a moment of silence Sunday at the city's firefighters memorial at Riverside Park. Among the memorials placed along Riverside Drive in Manhattan's Upper West Side is a massive statue - 12 feet long and 8 feet wide, and easily one of the most beautiful. It was dedicated in 1913 to firefighters who died on the job, but for the past 10 years it's become a focal point for members of the New York Fire Department. 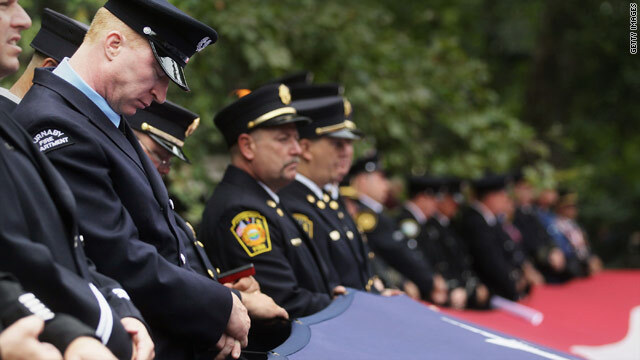 It's become a place to carve out a private ceremony where each year after 9/11 they've remembered the 343 firefighters who lost their lives in the terror attacks of that day. "It's not about speeches and it's not about politicians," FDNY Lt. Ken Durante told me. His title is "event organizer," but really he's the guy wrangling the dozen TV crews and cameras that have set up at 100th Street and Riverside Drive, about eight miles north of ground zero. They didn't want the media attention. This memorial was intended to be simple and to focus on the firefighters. 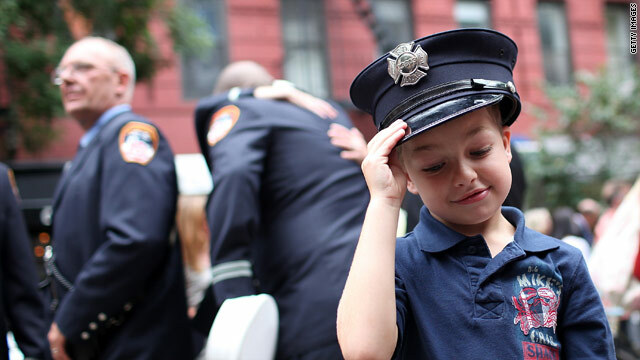 But a bit of controversy - when firefighters were not invited to Sunday's ground zero ceremonies - focused more attention on this usually low-key event. Fire Commissioner Salvatore Cassano says not going down to the site of the World Trade Center attacks is no big deal. Firefighters want to remember the day in their own way, with their own colleagues. 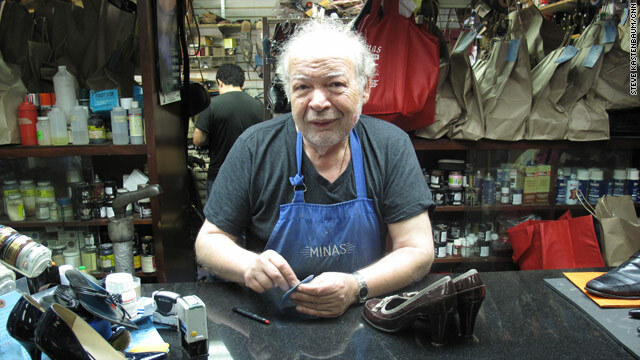 Filed under: New York • September 11 • Terrorism • U.S.
Minas Polychronakis reopened his shoe shop on Wall Street after the original was destroyed in the September 11 attacks. 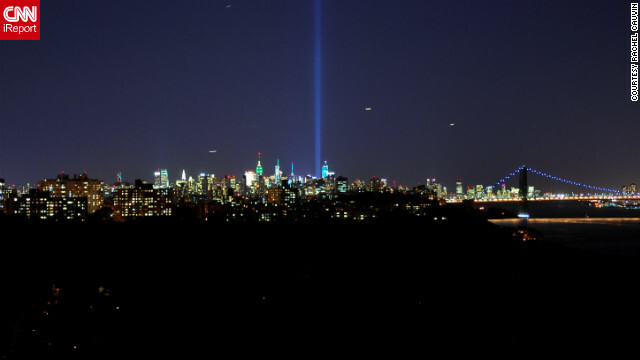 There’s no denying that New York is a changed place 10 years after the attacks that destroyed the twin towers and took the lives of 2,753 people. The city has physically changed and people will forever mourn the losses. The psyche of the city has changed, too. “We are more patient. We are more caring. I think people have bonded together,” said Sandy Levine, owner of the Carnegie Deli in midtown Manhattan. "I think we all think as one now." Minas Polychronakis greets his customers every morning from behind the counter of his shoe shop on Wall Street. The store wasn’t always there. The original shop was on the lower concourse of the World Trade Center. He saw a change in people that day, one that has lasted: "more kind." "Sometime you have to pay the price to realize how good we are. They changed us for better," he said. Newspaper columnist Pete Hamill has written about the people who make up the fabric that is New York for five decades. “Because September 11 happened to us - not to me, not to he or she or you, but to us - that stayed in our character,” Hamill said. You can also listen to CNN Radio Report podcasts on or to the podcast here. The Taliban have accused the United States of killing tens of thousands of Afghans and brutally torturing others in a defiant statement marking the 10th anniversary of the 9/11 terror attacks against the United States. The statement accuses the United States of using the September 11 attacks as a pretext for violence against Muslims and says the Afghan people have "an endless stamina for a long war" and could rise up as a nation "to send the Americans to the dustbin of history." American spy networks have intercepted communications from a known al Qaeda operative in Pakistan that indicates plans for a potential terrorist strike in New York or Washington D.C, according to a senior U.S. official. The communication comes from a source that has in the past provided accurate information, the official said, prompting intelligence officials to sift through communications from other known al Qaeda cells. No corroborating evidence has been uncovered, the official added. The information indicates that the strike - thought to come from a vehicle-borne bomb - is meant to coincide with the 10th anniversary of the September 11th, 2001 attack.